The gaming industry has created its own indispensable space in the online world, it is a multi-billion dollar industry bringing together avid gamers from every corner of the globe. The internet added a new dimension to the gaming universe, evolving from basic arcade games and video games to advanced gaming consoles and social gaming. Massive multiplayer online games (MMOG) allow users to interact with other gamers and build a unique gaming experience. These games paved the way for social gaming that requires gamers to interact with each other. Online casinos, that include gambling and betting, are among the most popular games in the online market. 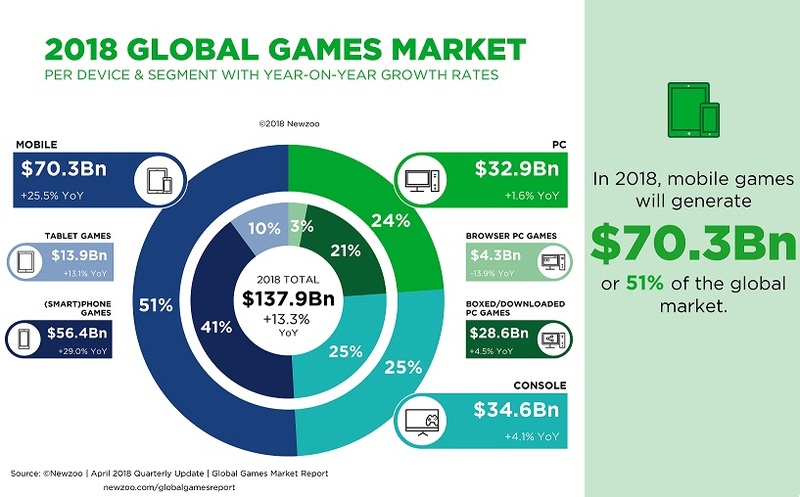 Newzoo reports, the global gaming industry generated $116.0 billion in game software revenues and is expected to touch $143 billion by the year 2020. Asia contributes to a huge chunk of revenue in the gaming industry, with revenue climbing to 2.5 billion in 2017 and more than 500 million active users, according to Statista. The online gaming industry has been pushing performance boundaries in networking and computing to keep up with the ever-evolving gameplays. The hardware powering gaming systems are advanced, and players invest in the best in gaming technology to ensure the gaming experience is smooth and uninterrupted. With so much invested, it is understandable when users get frustrated with a delay of even a second in the gameplay. Gamers consider performance as important as the gameplay and storyline. The State of Online Gaming – 2018 report from Limelight shows how gamers prefer games with better performance. Zero latency and uninterrupted streaming are what matters to the online gaming community. Gaming companies understand the need to provide an optimized and seamless user experience and are actively involved in improving it. Companies like, Riot Games have chosen to route users directly to their servers to cut down latency and speed up the gaming experience. 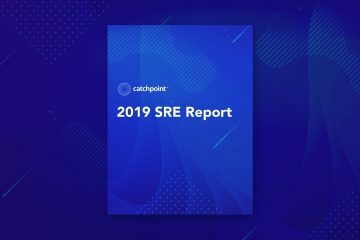 The direct connection and performance improvements were verified and analyzed with Catchpoint tests, you can read all the details here. Online casinos have a major stake in the online gaming market. Traditional casino games like poker, roulette, and blackjack are all available online. In addition to this, sports betting and lotteries are also played online. Betting companies with licenses are open to gamblers from any country, but many countries have introduced their own regulations and laws to curb irresponsible gambling. There are multiple legal constraints most betting and gambling companies must manage when catering to a global audience. Asia is one of the largest markets in the gambling and betting industry. Online betting has gained a major audience in countries like China, Thailand, and India. In China, many forms of betting like sports, lottery and various slot machines are very popular. Most gambling sites are banned in mainland China and the Chinese Sports Lottery exercises a monopoly over all kinds of betting. Chinese authorities routinely block access to unauthorized gaming sites. For most users in China, it is common to purchase a virtual private network (VPN) to access these websites. Betting sites, like www.dafabet.com and www.188bet.com, are licensed and legal but availability in different countries remains a challenge. Online gambling websites need to be configured to handle traffic from around the globe while minimizing latency, and improving response times. The laws governing different types of gambling and betting may differ from country to country, so the site should serve the games based on the user’s location. Gaming applications are resource heavy and the infrastructure must be capable of handling the thousands of users accessing the application simultaneously. Performance: The application must render quickly without any lag. Reliability: The application must be able to recover quickly from any network disruption. Scalability: The application must be able to scale and handle the load with a large number of users logging in simultaneously. Flexibility: The application must be easy to deploy. Upgrades and changes to server configurations should be easy to implement along with a seamless implementation of new features or design changes to the game. Security: The entire architecture including the application and the user data should be secure. The servers must be protected against any security risks. In addition to implementing a robust architecture and infrastructure to host the website, it is also necessary to deploy a monitoring strategy to ensure the website is available and running without any performance degradation. To understand the value a monitoring strategy provides to gaming companies, let’s discuss some common use cases. We have highlighted the importance of DNS monitoring in multiple blogs. DNS is a major security vulnerability and requires proactive monitoring to prevent and mitigate major attacks. 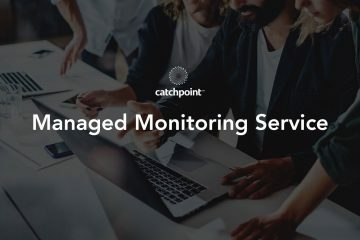 The following scenarios illustrate how Catchpoint monitoring tools can give you the upper hand when combating DNS performance issues on your gaming website. DNS hijacking is one of the most common forms of cyberattack. Hijackers point the DNS to their own website and disrupting the traffic to the original domain. In such scenarios, the DNS Experience Test provided by Catchpoint can be used to run a dig+trace on the IP. You can then trigger alerts if the IPs don’t match at any level in the DNS resolution process. There are instances when the DNS provider may be facing performance degradation or may be serving stale records. In such a scenario, use the DNS Direct Test to query each nameserver. In a DDoS attack, the DNS servers are overwhelmed with incoming queries and are unable to handle the load. We can mitigate the impact of such an attack by monitoring the DNS server for sudden spikes in server response times. DNS response time can be impacted by multiple factors depending on the application architecture and deployment; the application may be deployed on a multicast network and may use multiple CDNs. In such complex network structure, DNS queries are never limited to the host server alone; there can be bottlenecks at any level which could impact DNS response time negatively. Gaming companies should give priority to monitoring DNS at different levels. CDNs are an integral part of most online applications. To bring the application content even closer to the end-user, applications use a multi-CDN set up where the content is distributed to servers in different geographical locations. CDN servers are mapped to the application using CNAMEs. These add another level of complexity when trying to optimize performance. The ability to monitor each level in DNS resolution process with Catchpoint’s DNS test type, helps you identify points of failure faster. There are instances where the IP address of the server is compromised; the attacker impersonates a valid IP address or hides their IP address by spoofing a valid IP address. In these cases, a Web Test can be set up to validate if the IP address of the website is valid or not. We can validate the content downloaded at every level of the page load process to ensure the page works as expected. Most websites use CDNs, ad providers, and other third-party tags for marketing. It is necessary to monitor the performance of these vendors and third-party service providers. A performance degradation with any of these vendors can impact user experience. Proactive monitoring will also ensure they are not breaching SLAs. You can track the performance of each vendor separately to identify potential bottlenecks with our Zone feature. Your website likely has multiple scripts that provide the necessary functionality. For example, managing user logins and handling the bets being placed on the site. To ensure users are able to interact with the website and play the games without issues, it is important to monitor the user flow. Catchpoint tools can be used to monitor complex scripts and to trigger alerts when there is an error in the user journey. When there are hundreds or thousands of users playing simultaneously, it can take a toll on the servers. To keep the website running at optimum performance, it is necessary to monitor the network for any latency or connectivity issues. You can set up Traceroute tests to analyze the path taken to reach the web server. The tests can trigger real-time alerts if there are any issues with the network or TCP connections being established. Most gaming applications depend on WebSockets to deliver high performance; multiplayer games exchange real-time data constantly and using WebSockets reduces latency as the client-server connection doesn’t need to be re-established for every request. The WebSocket connection is persistent, there could be instances where the connection stops being responsive, or the data generated throws an exception. Such scenarios can negatively impact the application performance. Monitoring web sockets helps you keep track of latency or bottlenecks in the connection. Catchpoint’s WebSocket test type allows you to monitor the performance and availability of WebSocket connections, you can configure it to trigger alerts if there are any issues. Gaming websites are deployed on a complex architecture with multiple servers hosting the site to handle the load. For example, online betting sites can have hundreds of concurrent users playing multiple games; latency in relaying each move of the player can prove costly. In addition to maintaining performance, online betting sites must work around the different laws and regulations in the countries they are operating in or risk getting blocked. Betting sites operate in a volatile environment, the site may be inaccessible in a particular region or may be subject to performance degradation due to a firewall or other network bottlenecks. 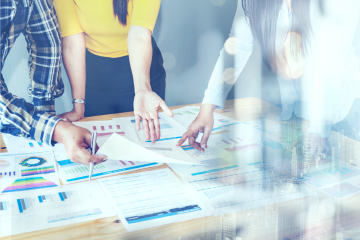 The online gaming community is fiercely competitive and any performance issue with the gameplay can have a major impact on the gaming company’s business. Multiplayer games demand uninterrupted streaming, and this is possible only if the application is monitored. Proactive monitoring is the only way to maintain 100% availability.